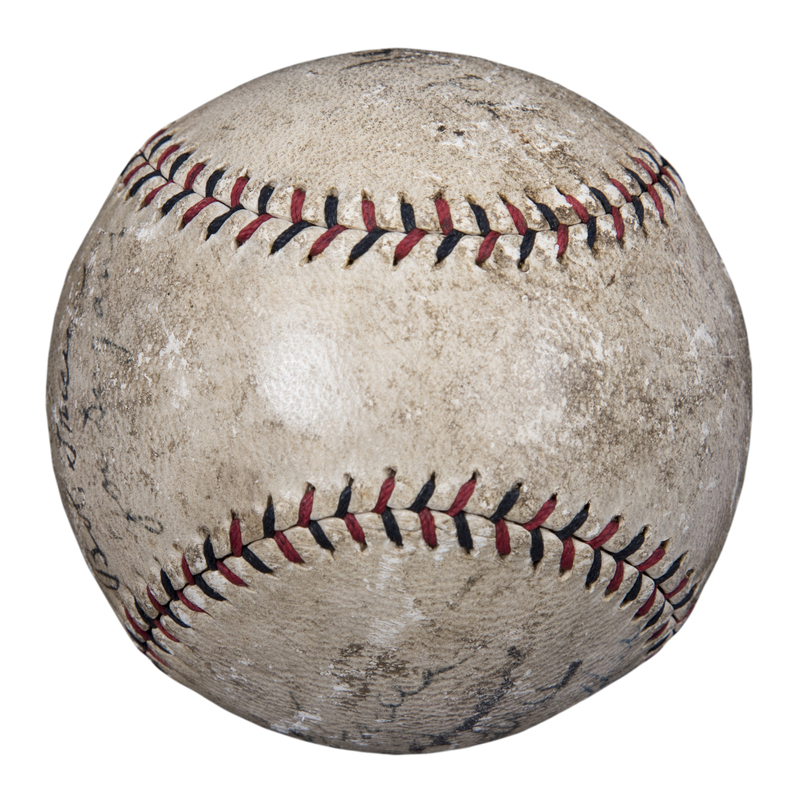 The 1926 New York Yankees won the American League with a 91-63 record and finished three games ahead of the Cleveland Indians. 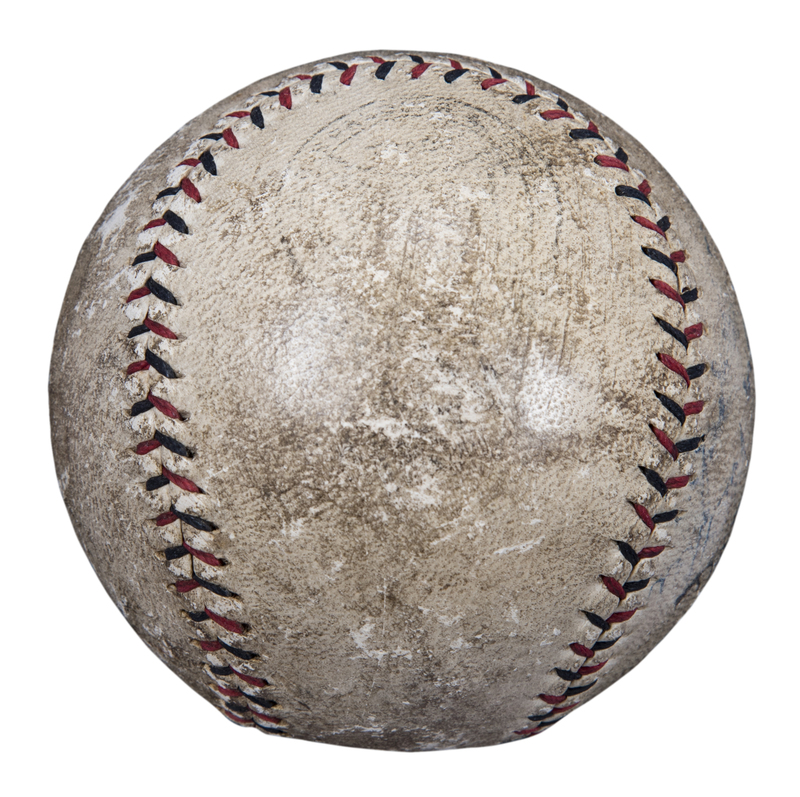 In what would be a seven-game series, the Yankees lost to the St. Louis Cardinals in the World Series. 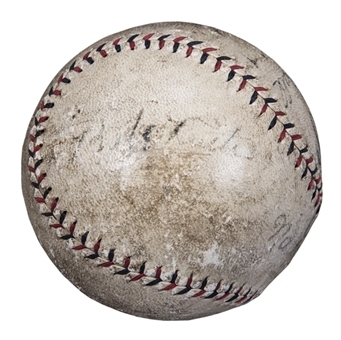 The series will be best remembered for ending with Babe Ruth being caught stealing second base in the deciding game as the Cardinals held on to the 3-2 victory. 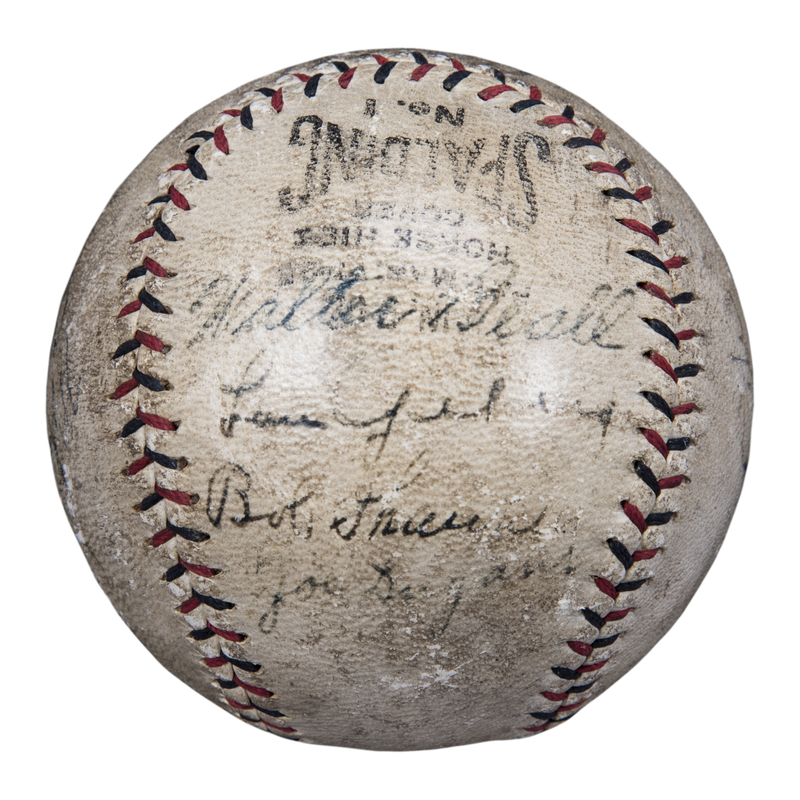 Nine members of that 1926 American League Champion New York Yankees squad have signed this 1926-27 era Official National League John Heydler stamped baseball. Babe Ruth’s signature appears in black ink on the side panel to the left of the stamped sweet spot. His signature is light but still readable. The panel with the Spalding No. 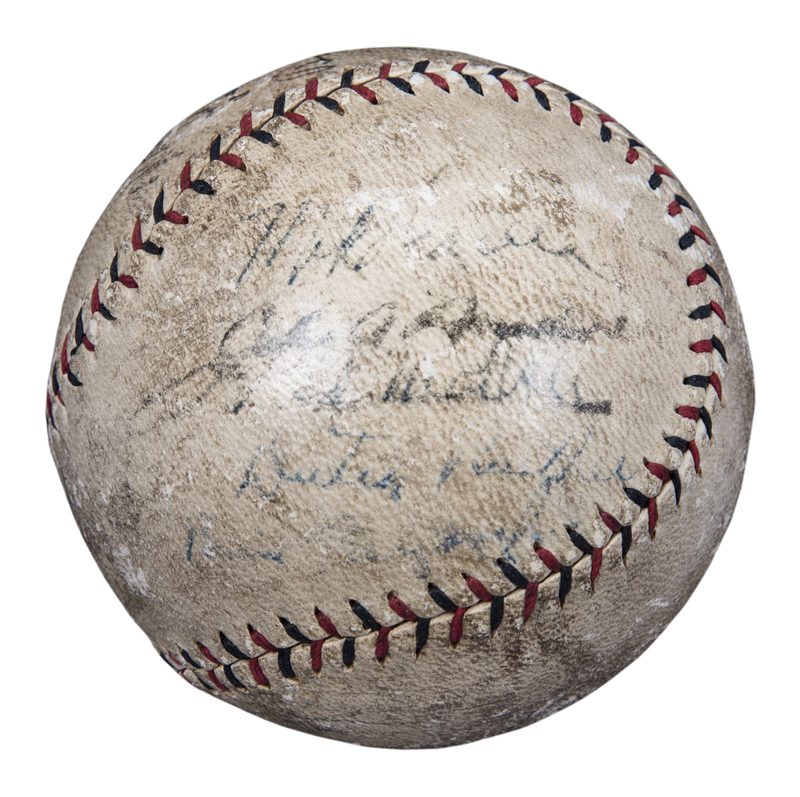 1 stamp has Lou Gehrig’s signature in black pen, along with Walter Beall, Bob Shawkey and Joe Dugan. All of those signatures have been signed in black pen. 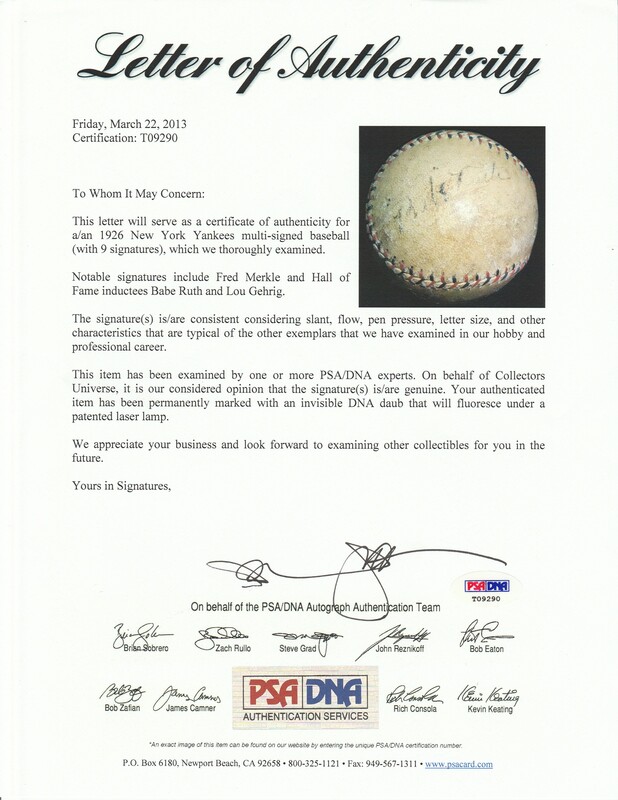 The adjacent panel with the John Heydler stamp has the signatures of Mike Gazella, Fred Merkle, Dutch Ruehter and Bob Meusel. 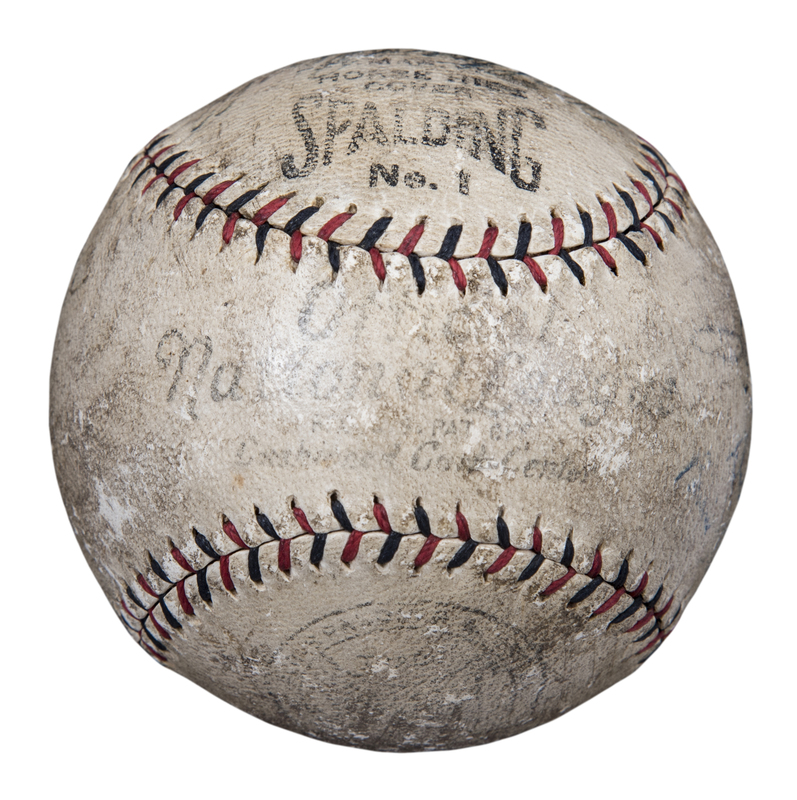 The ball displays toning and age wear with the red and navy stitching still intact. The stampings are light and there are abrasion marks present. 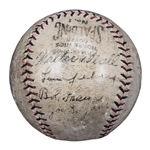 A tremendous ball from the early 1920’s New York Yankees and it comes with a LOA from PSA/DNA (T09290).